Liberal organizations like the Brady Campaign strive to eliminate guns all together. My question is how they think that will help, considering that criminals wouldn’t follow the laws to turn in the guns. 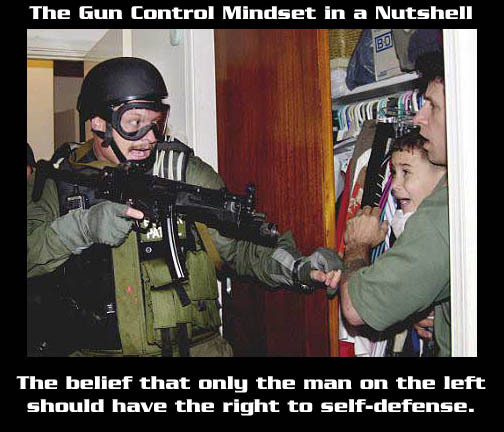 The way I see it, only the law-abiding citizens that should have guns would allow their guns to be taken. Not only that, but criminals then would know that pretty much anyone is undefended. A question that most anti-gun folks will not have an answer for. Wow. That’s really all I have to say about it, it’s pretty intense of a statement.